Altek Calibrator discontinued? 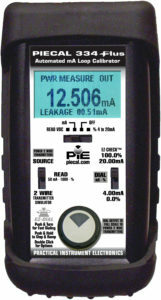 Replace with a PIE Calibrator. 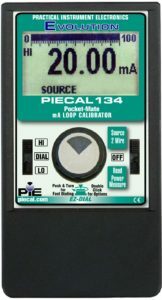 Meet the new kid on the block – PIE Calibrators are the evolutionary update to the classic Altek Calibrator line of the last century. The new kid has the same parents (the same design team as the Altek calibrators). 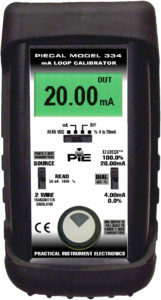 PIE Calibrators are shorter, thinner and lighter with rugged switches and rubber boots. 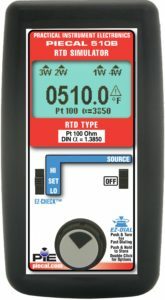 Additional features including back-lit displays, automatic stepping & ramping, “AA” batteries instead of 9V batteries save money with longer battery life, more thermocouple and RTD types with better accuracy and even easier to use. 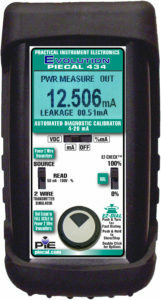 Plus many models have advanced troubleshooting features not found on Altek or ANY other brand of calibrators. 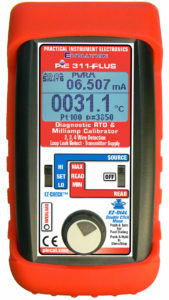 All of the Altek Calibrators have been discontinued and the remaining calibrators are WAY more expensive than the updated PIE Calibrators. Altek Industries Corp was was founded in 1979 by two partners who were both vice-presidents of Rochester Instrument Systems (RiS). One of them had been with RiS since the early 1960s while the other was one of the founders of Transmation in 1964. Both of them were engineers with a strong background in analog electronics with decades of experience in process control equipment. Altek was privately owned until 1996 when it was sold to Transmation Inc and merged with the manufacturing part of the corporation to become Transmation Products Group (TPG). TPG was sold to Fluke in 2001 and manufacturing was moved to Everett Washington. 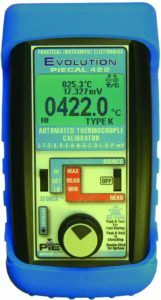 Production of Altek Calibrators ceased in 2016. 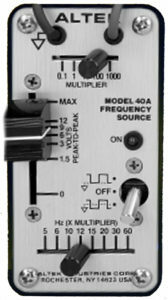 Altek’s first products were loop powered 4 to 20 milliamp calibrators – Altek Model 45 and Altek Model 46 – the ages of the owners! 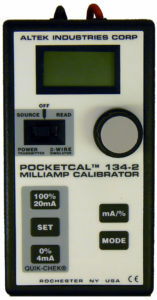 A favorite calibrator was the Altek Model 134 which was a palm sized milliamp calibrator with three 9V batteries that generated 4 to 20 milliamps and had a toggle switch to quickly go from 4 to 20 milliamps without looking at the calibrator. 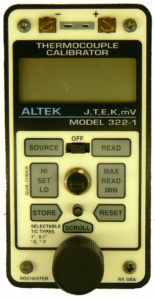 The pocket sized replacement for the 134 was the Altek Model 134-2 which came out in 1999. 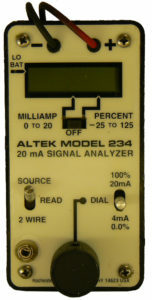 The first big seller was the Altek Model 234 in 1984 which added a 3 1/2 digit LCD display to measure up to 19.99 milliamps. Instrument technicians suggested improvements led to the Altek Model 334. 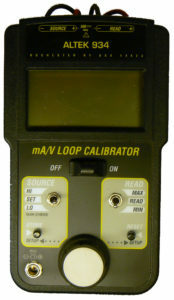 It was designed in 1989 with a a full 4 digit display to 24.00 milliamps and a measure DC Volts range to check batteries and loop power supplies. 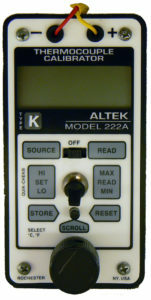 The Altek Model 334A replaced the Model 334 in 2000 with a surface mount design. 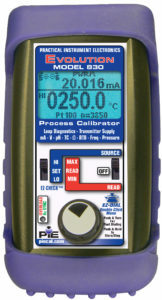 The high accuracy Altek Model 434 was released in 1999 and was the first handheld calibrator to include a 250 Ohm resistor for HART compatibility. 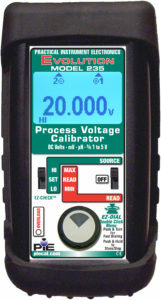 The Altek 235 was a voltage calibrator released in 1985 with ranges for millivolts, 1 to 5 volts and up to 20 volts dc. 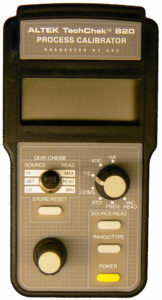 The Model 934 had a dual display that would simultaneously source and read milliamps and voltage. 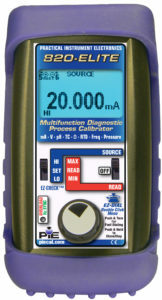 Once Altek had a complete line of single function calibrators it was time to bring out a line of multifunction calibrators. 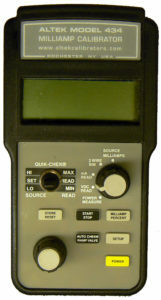 The Altek 820 had a single display which sourced and read milliamp, voltage, thermocouple, ohms, RTD and frequency. It was introduced in 1997 and quickly became a big seller. The followup was the Altek 830 which had a dual display and the ability to measure pressure with external pressure modules. 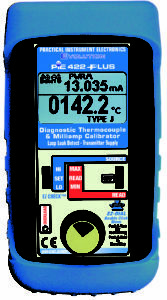 The big hit of 1980 was the Altek Model 22 Thermocouple Source which outputted 22 temperatures for a single thermocouple type. 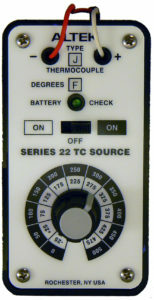 The Altek 222 introduced in 1987 had an LCD display which sourced and read a single thermocouple type in °F & °C. 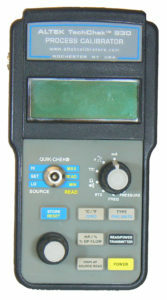 It was replaced by the Altek 222A in 1993. 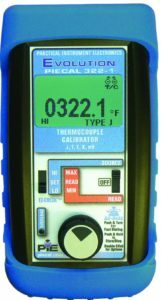 With four thermocouple types the Altek 322-1 came out in 1991 and the fourteen thermocouple types Altek 422 came out the following year. 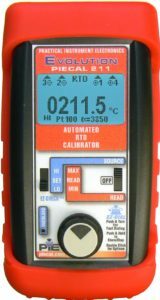 To match the thermocouple line the first Altek RTD calibrator was the Altek Model 11 RTD Simulator which outputted 11 temperatures for a single RTD type. 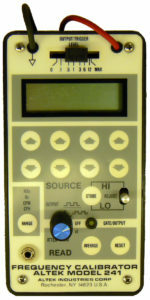 The Altek 111 introduced in 1997 had an LCD display which sourced and read a single RTD type in °F & °C. With multiple RTD types the Altek 211 came out in 1990 and the more advanced Altek 311 came out in 1998 and was updated to the Altek 311A the following year. 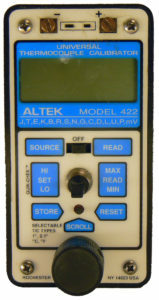 The Altek 40A outputted 40 frequencies with both zero based and zero crossing square waves. 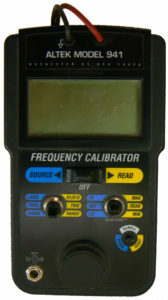 The LCD Altek 241 was the first portable calibrator with counts-per-minute and counts-per-hour ranges and came out in 1986. 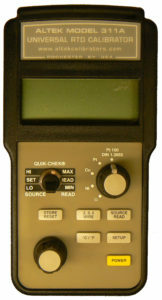 The Altek 941 replaced it in 1994 and was updated to the Altek 942 in 1996 with the addition of a function to calibrate totalizers.